Thanksgiving Dinner is one of the most important meals of all year. We all have traditions that we have grown up with, and we expect some dishes to be served. 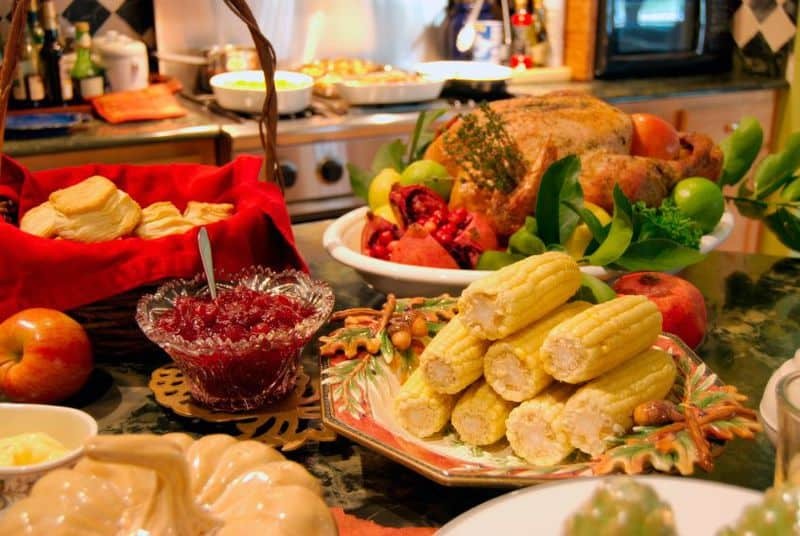 Let me share with you a few of the dishes that will be appearing on my Thanksgiving Dinner Table. I think that this is one of the most important meals of all year. I can’t think of a meal that we all spend more time on than this one. Perhaps like you, I don’t think it is Thanksgiving without a perfectly cooked turkey. The one that I have tried and liked the best is Alton Brown’s Roasted Turkey. This turkey requires a little more preparation than, but between the bringing the bird makes the meat sweet and delicious. Even if you don’t use this recipe simply brining the turkey in a salt and sugar brine will make the bird taste so much better. You can make a simple brine of equal parts of salt and sugar for a succulent bird. Living in the South, I have always loved a really good Deep Fried Turkey, with a deep fryer especially made for frying turkeys these can be safe. Now let’s talk about appetizers. One of my new favorite appetizers, is green bean bundles. If you have never tried the green bean bundles, this is a recipe that I highly suggest. Fresh steamed green beans are wrapped with bacon and seasoned with a sweet and savory sauce. I also like to serve up a simple baked brie, all you need is some puff pastry and a chunk of brie. Simply saute some almonds in butter, and take a sheet of puff pastry dough, add your brie, the sauteed almonds, and a tablespoon or two of brown sugar, and bake. This is a great way to keep everyone at bay until the meal is ready. Roasted Brussels Sprouts with Bacon is a fabulous side dish. Beautiful Brussels sprouts are a beautiful side dish that is perfect to serve. Everyone loves bacon, and these are so easy to make, you can make these ahead of time, and reheat these when it is time to serve them. Olive Garden Pumpkin Cheesecake is a must have dessert. A gingersnap inspired crust is served with a pumpkin-infused creamy New York style cheesecake, that is topped with a pumpkin spiced whipped cream is hard to top. Here you can combine the best of cheesecake and pumpkin pie. These are just a few of the dishes that will be served at my Thanksgiving table. I hope this may help you with your menu planning. Awesome post, I can’t wait for Thanksgiving this year. I would just like to take the time to say thank you for all of your hard work and all of the time and effort that you put into making all of these great recipes available to us all. I absolutely adore this website and love experimenting in the kitchen. I have a family of six (me, my husband, and our four children.) We usually do roasted turkeys once a month because it is something that is great for a big family like ours. So once again thank you so much. God bless and keep up the great work.